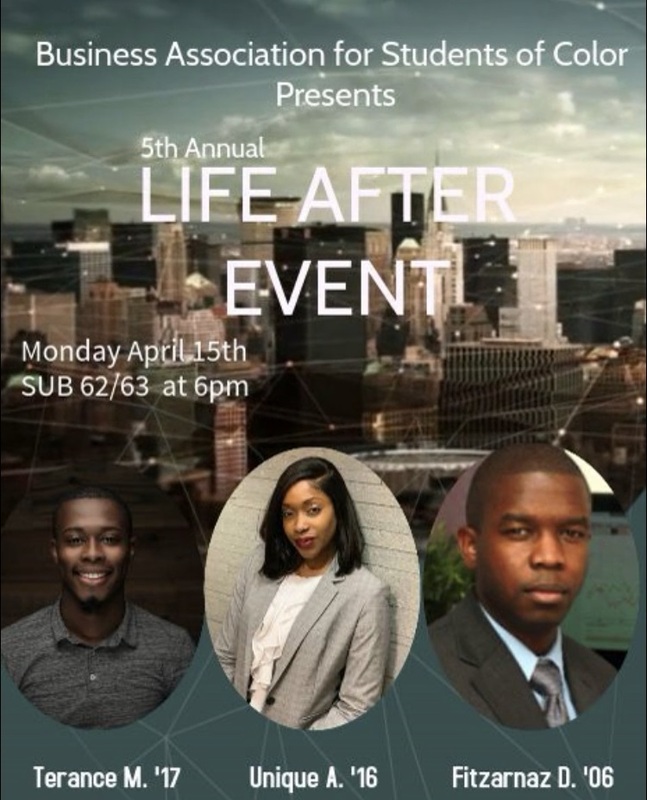 The Business Association for Students of Color (BASC) presents the 5th annual Life After event! Join alumni from SUNY New Paltz’s School of Business in a comfortable atmosphere as they share their experiences of life after college as professionals of color. Gain new knowledge about the professional world, network, and possibly learn of internship and employment opportunities!